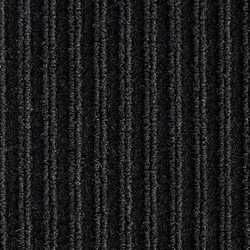 The ONLY difference is where this type of carpet is used; otherwise it’s the same thing. 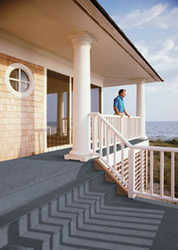 Indoor outdoor carpet is also commonly known as ‘marine carpet’. This versatile type of flooring is suitable for many indoor & outdoor applications around the home, with a distinctive range of colours, patterns & textures to choose from to suit your decor & lifestyle. Indoor/outdoor carpet is mould, mildew & moisture resistant, will not rot or smell, fray or zipper & is also stain & insect resistant. Indoor/Outdoor carpet is the sensible choice for those rooms of the home or other places that can be open to the elements at times & subject to a range of weather conditions. 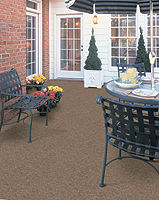 Anywhere that moisture can be a problem, indoor/outdoor carpet provides the perfect flooring solution. Wet or dry, indoor/outdoor carpet is also anti-slip flooring, making it the safest choice underfoot in all manner of situations. Outdoor carpet for decks? No problem. So easy to clean — just hose it off! As it can be hosed off for cleaning, indoor/outdoor carpet can be used for a myriad of applications including sunrooms, outdoor decks, patios, garages & all outdoor living areas, utes, vans, caravans, annexes & campervans, boats, tinnies, yachts, cruisers, trawlers, boat ramps—in fact in just about any outdoor or marine environment you can think of. 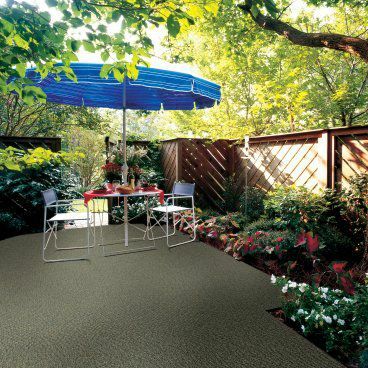 Carpet Options in Nambour has a great range of samples of this specialised outdoor carpet in store & depending on your requirements, we can assist you with the right choice of indoor/outdoor marine carpet for your individual needs. For those lucky enough to live on the beautiful Sunshine Coast, ask about our expert carpet installation service at Carpet Options in Nambour. 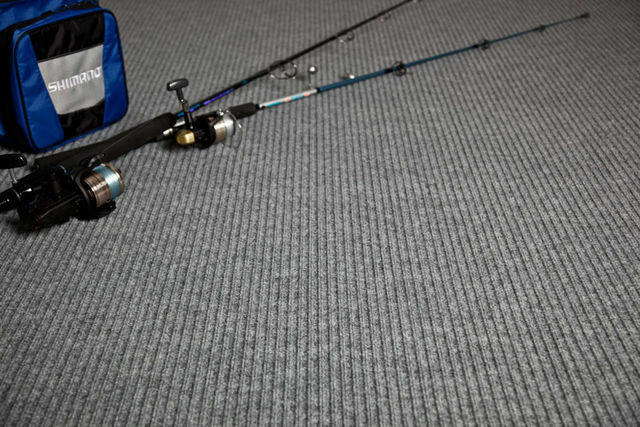 At Carpet Options in Nambour, we have a variety of brands of indoor/outdoor carpet with Raider & Reef, two of the most popular ranges of specialty marine carpets from Autex, which are also suitable for a wide range of light commercial applications. 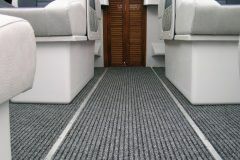 Non-slip & water-resistant, these carpets are a cost-effective choice for the interiors & decks of small boats, outdoor decks, patios, sunrooms, garages & commercial floor areas. What’s outdoor carpet made of? Marine carpet is made of 100% polypropylene which will not absorb water & is therefore highly stain resistant. 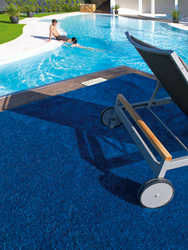 The fibre is UV Stabilised, to ensure the carpet won’t fade rapidly or deteriorate under direct sunlight. 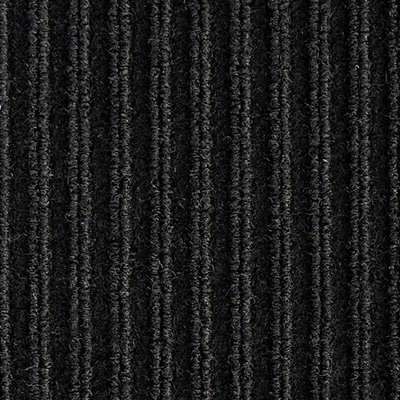 The durability & life of the carpet basically depends on its fibre weight, particularly in "ribbed" or other elevated pile types that can flatten under heavy traffic. Regular vacuuming & cleaning will extend the life of the carpet. Is there a good choice of colours for outdoor carpet? 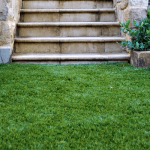 For the perfect lawn that you never have to mow, try artificial turf. As well as saving you time, it’s a responsible ‘green’ choice that saves you money as you never have to water it either. It doesn’t grow, there’s no need for weedkiller or fertiliser, no lawn grubs, no brown patches, looks great & feels soft underfoot – what’s not to like?? Artificial turf, synthetic turf or ‘fake grass’ is another outdoor floor covering. A green solution for water restrictions, artificial turf requires no watering, no mowing, yet keeps its lush appearance & feels soft underfoot. As water is becoming a more precious commodity, artificial turf is proving an effective alternative, providing an aesthetically pleasing surface, while saving water & reducing costly maintenance! 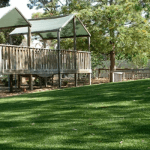 This resilient product can be used in both residential & commercial areas from unit courtyard gardens to sporting surfaces, schools, childcare centres & playgrounds, council green spaces such as roundabouts & median strips & public recreation areas. Artificial turf can give a ‘garden feel’ to outdoor living areas such as on top of apartment buildings. It can be used on cricket pitches, hockey fields, bowling greens, putting greens, tennis courts, playing fields & it looks great around swimming pools. Drainage isn’t a problem, mud & dirt trampled throughout the house becomes a thing of the past & it is suitable for pets as it can be simply hosed off. Call in to Carpet Options in Nambour today & see & feel our range of artificial turf samples for yourself. 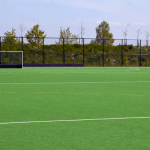 Artificial turf may be just the solution you’re looking for! Book in for a free measure & quote. Golfing enthusiasts wanting to improve their game, regularly ask us if there is we have a product available to use as a putting green. At Carpet Options we recommend artificial turf & Grassman Duraturf fits the bill. This is an ideal solution to use as a putting green for golfers wanting to practice without going to the golf club. Roll it out & roll it up, you can install it in your favourite spot or use Duraturf as a portable putting green on a level surface in your backyard, on your deck, your patio or even at the office if there’s enough room!